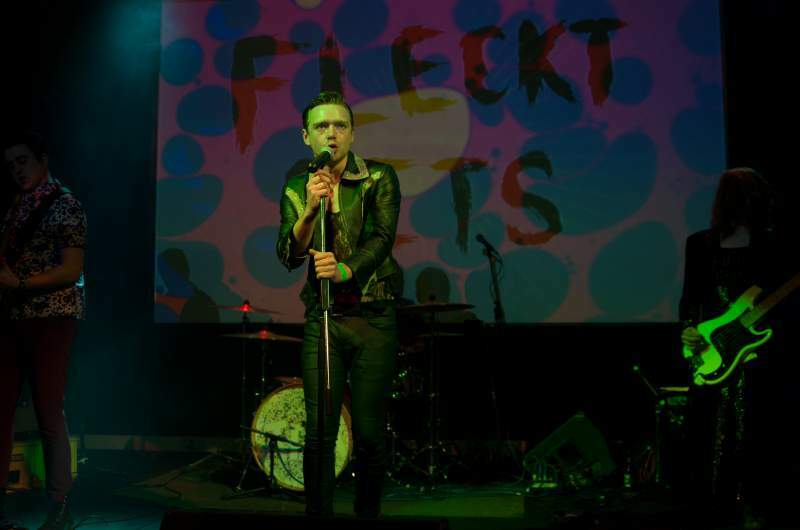 As Middlesbrough’s foremost purveyors of angsty yet ludicrously fun pop punk, you might expect a bit of a quirky offering from a Fleckt Pets video. For the latest release from their debut EP This Is Our Punk, the four-piece are taking on one of modern life’s most pervasive yet oddly creepy digital inventions: Snap Chat. But, you know, this is a Fleckt Pets video. So rather than having a bit of a bog standard tale of a boy meets girl, the group and director Ryan Pilot have done something a bit different. Accompanying the infectious two-minute burst of tight guitar melodies and a catchy, shout-along chorus comes a tale of a man (Johnny), one young woman (Sheena), a ghost, beer, glasses and bearded men with too much lipstick on. Filmed around the Georgian Theatre, Green Dragon Pub and the Green Dragon Yard, the DIY video is anything but predictable and quickly descends into a hilarious and slightly surreal vortex of madness. It’s wonderfully spirited stuff that sees various members of the band and the local music community – including Russell Gray, aka Girl Sweat and Jordan Bell of Avalanche Party – coming together to produce an off-beat not-so-romance. Oh, and if you’re wondering, the ghost is real but he’s a bit shy and wouldn’t tell anyone his name. You can watch the video for Snap Chat below. This Is Our Punk is out now.